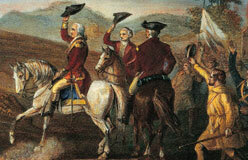 When George Washington stepped down as president, he returned to Mount Vernon. 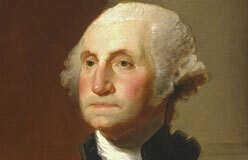 Washington enjoyed farming. He worked hard to get Mount Vernon running smoothly. By the end of his life, he had divided his 8,000 acres of land into five farms. Each farm had its own overseers, workforce of enslaved people, livestock, tools, and buildings. 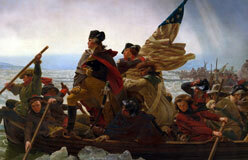 After checking on his farms one snowy December morning in 1799, Washington came down with a cold. He soon had a high fever. On December 14, at age 67, he died. 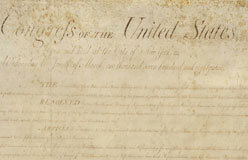 Congress had built a special vault for him under the United States Capitol in Washington, D.C. But the vault remains empty to this day. 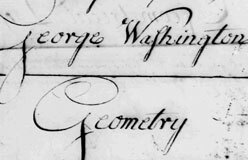 That’s because the nation’s first president wanted to be buried at Mount Vernon, and so he was. 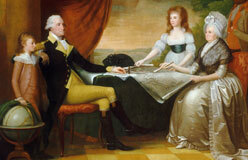 Having worked long and faithfully for his country, George Washington at last rested as a private citizen.